09.16.07 All games in round three began with1.e4, there were two Petroffs, a Scotch and a new fangled Marshall Gambit. 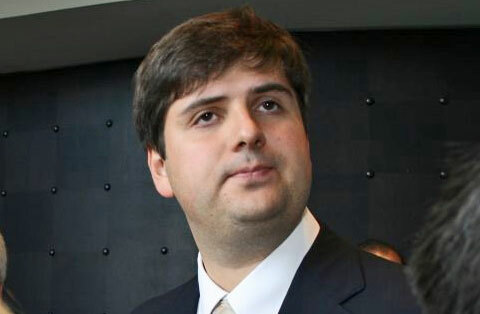 Alexander Morozevich was the only player to win with a victory over Peter Swidler. Kramnik had a one pawn advantage in a rook and pawn endgame vs. Anand but just couldn't squeeze enough out of the position and settled for a stalemate. Peter Leko vs. Boris Gelfand went on for six hours and one hundred moves until the players threw in the towel and agreed to a draw. 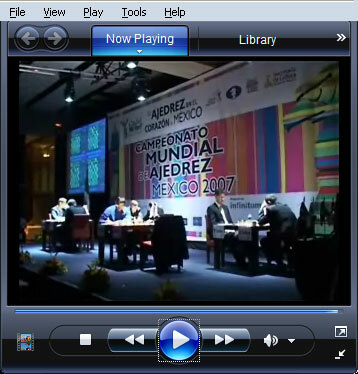 Included in this report is a video impression of the start of round three courtesy of ChessBase. Alexander Morozevich, the only player to post a win in round three, signs a chessboard. 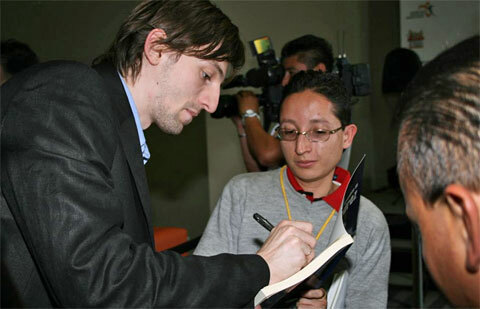 Alexander Grischuk also gives an autograph. 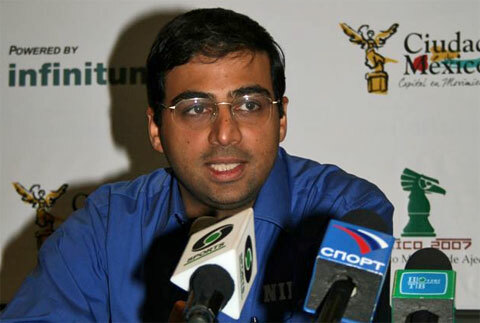 Anand managed a third round draw with Kramnik. Alexander Grischuk and Levon Aronian discuss their draw. Video of the start of round three.